As the emerging threats grow more toxic, hazmat/CBRN responders find themselves concerned with smaller and smaller concentrations of threat materials. A majority of the scientific evidence concerning these threats is reported in scientific, or metric, units (i.e., grams) instead of imperial units (i.e., pounds). In fact, the United States is one of the few locations in the World that still relies upon the old imperial systems. The metric system is an internationally adopted decimal system of measurement. Developed in France in the late 1700s, the metric system is designed around four units of measure, including: the gram (g) for mass; the liter (l) for volume; the second (s) for time; and the ampere (A) for electromagnetism. The abbreviations for each unit are the same in all languages around the World. 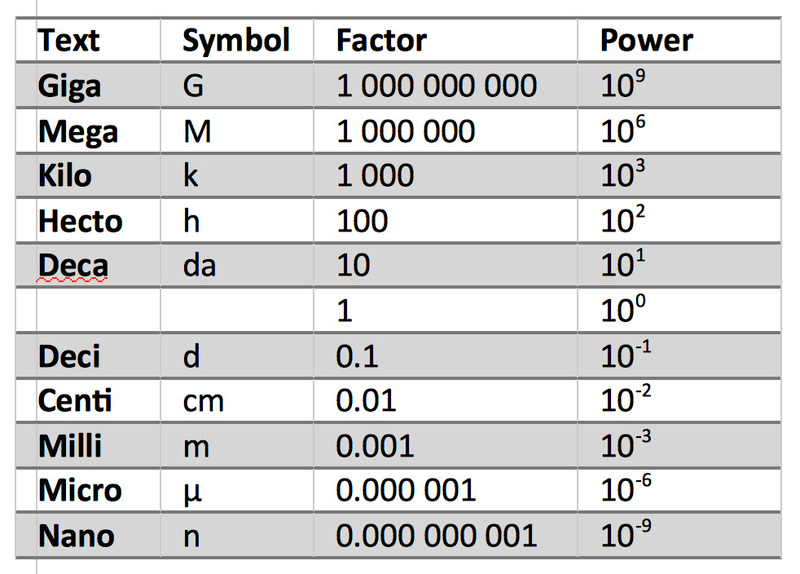 A standard set of prefixes (see table) are also in use to describe multiples of the units of measure and each of these are based upon factors of 10, matching the decimal system. Visualization Experiment: In order to visualize the units of measure that we are discussing, let’s do a quick experiment. Wash your hands and leave them slightly damp. Pour a sugar packet out into the palm of one hand. This represents about 1 gram of material. Now, flip over your hand so that most of the sugar falls off. The thin film of material remaining on your hand is approximately a milligram. Next, take your “contaminated” hand and wipe it off using your alternate hand. The remaining material that is on your hands (both now) is approximately a microgram. It should be barely visible to the human eye, but the crystal may be able to reflect light and thereby make itself visible. Bulk Vs. Trace: In the detection world, materials in quantities that are visible, or greater than 1 microgram in total weight, are considered bulk materials while those less than 1 microgram in total weight are considered trace materials. In the counter-narcotics world, the term trace levels of materials is often also used to convey that a threat material is a small percentage of the whole product. For example, standard drug quantities of fentanyl which do not result in an overdose situation are considered to contain trace quantities of fentanyl. In this circumstance, the trace quantity is denoting that the total percentage of fentanyl is 1 – 2 percent of the total material with cutting agents making up the remainder. As expected, the lethal dose for materials like acetaminophen are an order of magnitude (grams) higher than those for fentanyl (milligrams) which are almost an order of magnitude higher than those for carfentanil (micrograms). It is almost impossible to visualize the lethal dose of carfentanil (41 μg or 0.00000144 ounces) as it would only be visible on a surface if the light reflected off a crystal. Remember, just because you cannot see it, does not mean that the threat is not there. 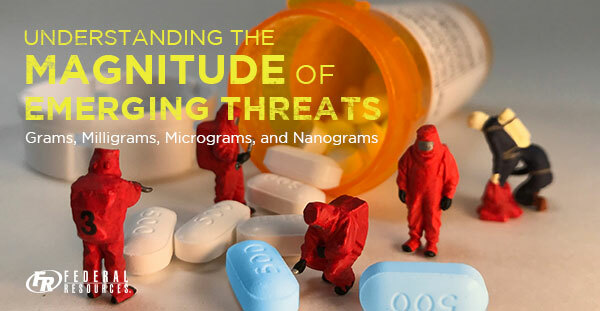 Based upon events in the US, Canada, and the UK in the past year, we are now dealing with threats that can harm us at the nanogram level and potentially kill us in the micrograms. Now, more than ever, you need to start considering the use of trace level detection equipment in emergency operations. Some examples of available detection systems are below. Often, you need to use these instruments in tandem to fully understand the materials that are present. For example, in the context of narcotics, Raman or infrared technologies may be used to identify the cutting agents, while the mass spectrometer is used to verify whether a threat material is located within the cutting agents.